Experts at 150-nation climate talks agreed guidelines to improve a flow of information to help the world cope with heatwaves, sandstorms or rising sea levels likely to be caused by global warming. “In the 21st century the peoples of the world will be facing multi-faceted challenges of climate variability and climate change,” according to a one-page draft summary of three-day talks among 1500 experts at a World Climate Conference. The experts, including leading scientists, urged better monitoring of the climate, free and open exchange of data, more research, speedier information for everyone from farmers to governments, and other measures such as more education. The draft document was due to be endorsed by governments today as part of a plan to bolster climate services. The Geneva agreement could help implement a separate UN climate treaty due to be agreed in Copenhagen in December. “We’re on track,” Jane Lubchenco, US Under Secretary of Commerce for Oceans and Atmosphere and head of the US delegation, told Reuters of the Geneva meeting and its goals. The talks are aimed mainly at helping developing nations adapt to climate change that will affect all parts of society from farming to energy supplies and from health to transport. It would help rich nations too, she said. “If you are going to invest in wind energy you would want to know where the winds are going to be good in the next 100 years, not the past 100 years,” she said. 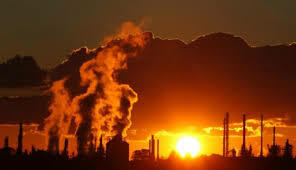 Delegates said governments at the talks were trying to end splits over a separate document mentioning global warming that is also due to be endorsed by about 80 ministers and 20 heads of state at the final two days of talks on today and tomorrow. UN Secretary-General Ban Ki-moon will be among the speakers. “Developing nations are trying to make sure they don’t promise more here in a declaration than they will in Copenhagen,” one African delegate said. Poor nations insist the rich must take the lead in cutting emissions under a Copenhagen deal, while allowing them to use more fossil fuels as they pursue development. Rich nations want more actions from the poor to slow the rise of their emissions. Martin Visbeck, the chair of the committee of experts in Geneva, said the disputes did not threaten agreement on a new “Framework for Climate Services” in Geneva. Lubchenco also said that none of the key elements of Copenhagen were meant to be debated in Geneva. Visbeck said that improved climate information was already paying off. The Red Cross, for instance, appealed for money last year to help southern Africa cope with severe flooding, based on forecasts that heavy rains were coming. He said it was the first time the Red Cross had appealed for cash before a disaster struck. Despite resistance from some donors, he said the plan paid off. The number of deaths fell to 80 from about 2000 in past similar floods.